He competed in the 2014 Winter Olympics for France where he finished 45th in the sprint and 21st in the pursuit. 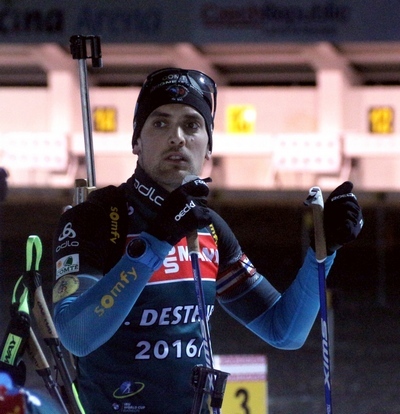 Desthieux won his first World Championship medal in Hochfilzen 2017 when he was a part of men's relay team that became second. Next year he was a part of France's mixed relay team in the 2018 Winter Olympics and won his first Olympic gold medal.